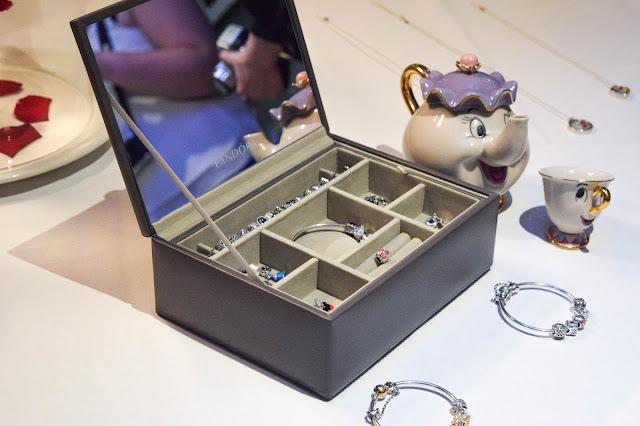 A couple of weeks ago, I was more than lucky to attend the launch of Pandora's New Disney Collection. It was a pretty spectacular evening starting off on the Westminster Bridge watching the promotional video projected on one of the Southbank buildings and then making our way to the Pandora flagship store to attend the launch party. 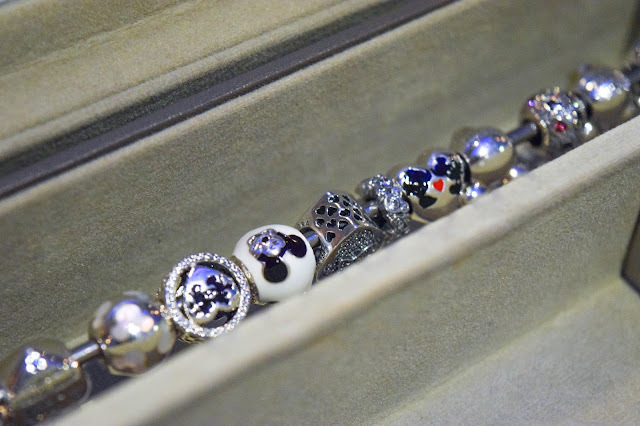 I took a few pictures of the collection to share with you and borrowed a few from Pandora too, so thank you Pandora! I hope you are all as excited about the collection as I am! The collection is based around classic Disney. 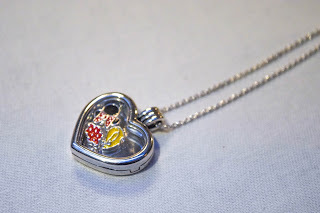 Think Mickey and Minnie Mouse, Cinderella, Beauty and the Beast, Bambi and I've even spotted a Lilo & Stitch charm in the collection! It's beautiful, simple but still obviously Disney. 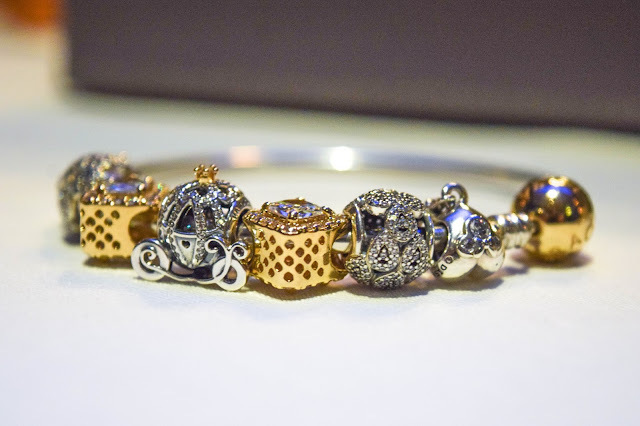 The charms are all individually beautiful and together in one of Pandora's classic bangles they shout "I love Disney". 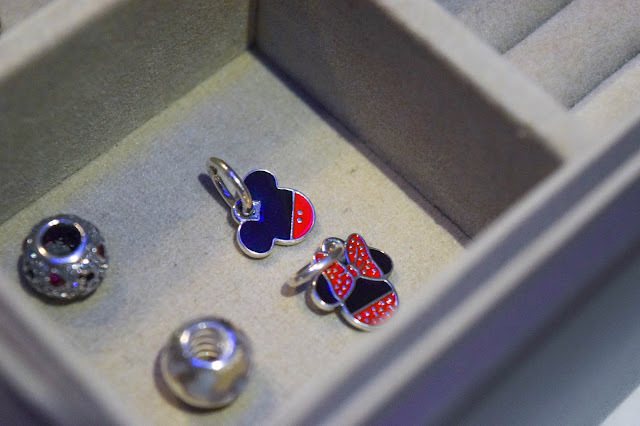 Together or separately, they could be the perfect gift for any Disney fan. 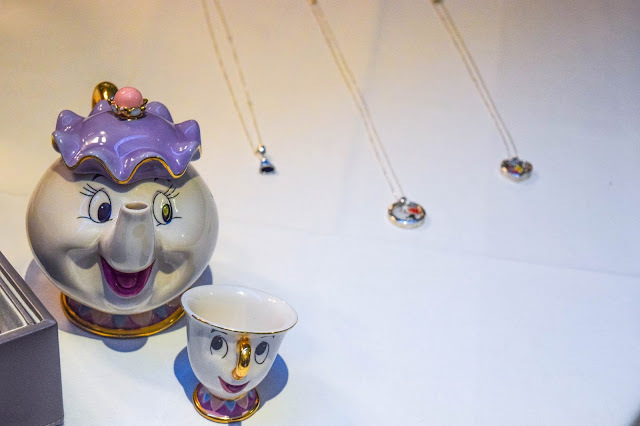 The necklaces are classic Pandora with your obvious Disney elements. 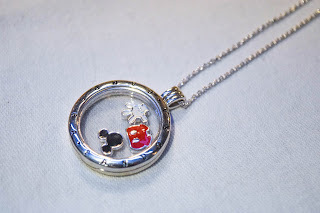 These next two have Minnie and Mickey's signature features set in either a circular or heart shaped necklace. Though these aren't my style, I think they're gorgeous necklaces. My favourite has always been a charm bracelet. 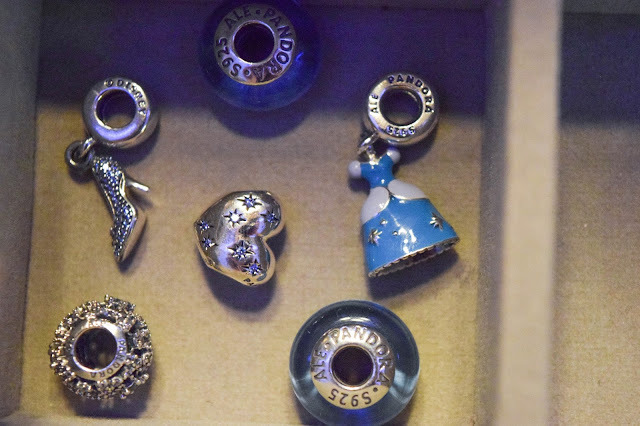 I don't actually own a Pandora bangle but now, I do want one just so I can have some Disney charms! In fact, I think it might be a birthday present to myself this year! I love the ability to make it your own and personal. 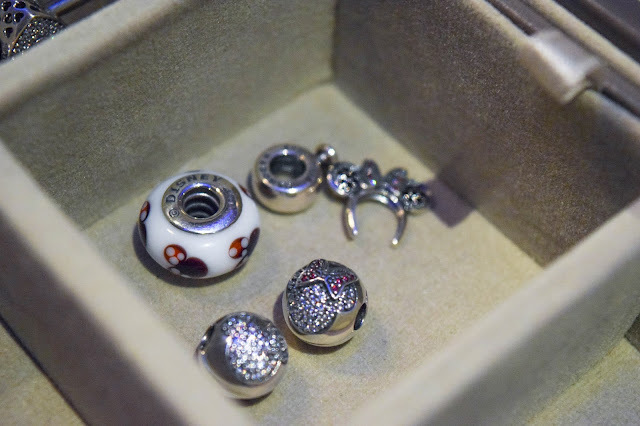 There are so many gorgeous charms in this collection. You just have to scroll down and see for yourself. Pretty right? I don't know which ones I would pick because I'd love so many of them. And what's more is that there is more of the collection than what you see here! Just see for yourself on Pandora's website here. I just want to say thank you to Pandora for inviting me along to the launch along with so many influential creators that I never thought I'd be mingling with and meeting. It was a fantastic evening and I couldn't be more excited to be promoting this collection for Pandora. Pandora also invited me to come along to the Tale As Old As Time afternoon tea at The Kensington Hotel with them which was a lot of fun too! Keep your eyes peeled for that post which will be coming very soon! 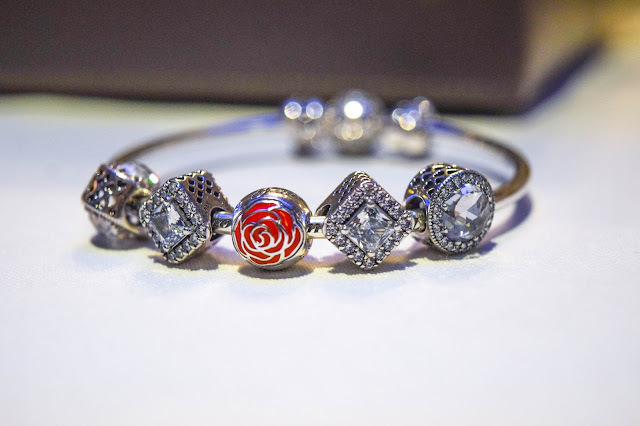 If you'd like to view the collection, you can visit your local Pandora store or visit the website here and be inspired to #DoSeeTheMagic. 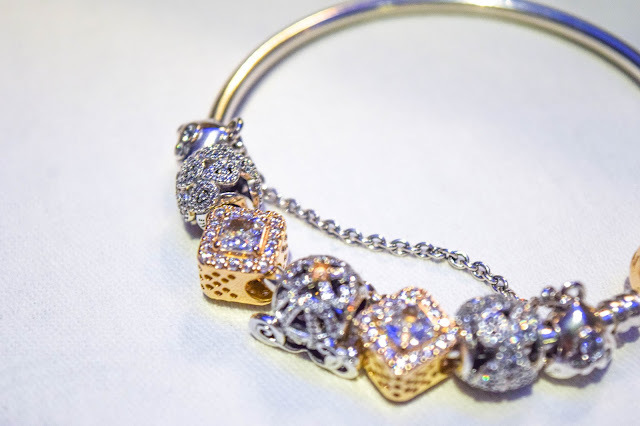 The cinderella carriage charm is my favourite next to the tiara charm! 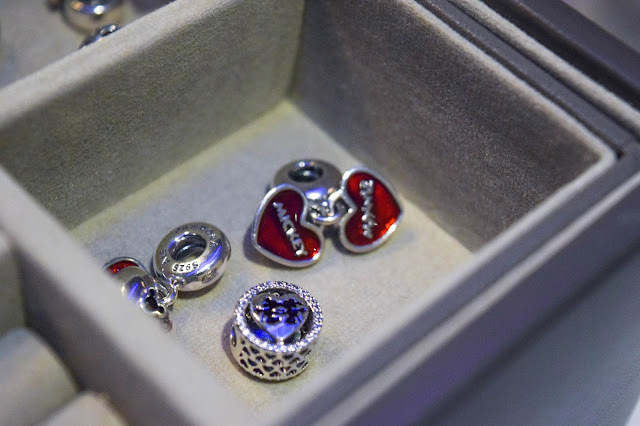 But with pandora, I love their rings the best, so I hope they bring some rings out for the collection too!